Synergy Osteopathic ~ Osteopath, Acupuncture, Kinesio Sports Taping ~ Cheltenham Leisure Centre, Leisure@Cheltenham, Gloucestershire. We specialise in treating Achilles tendon problems, iliotibial band syndrome, shin splints, plantar fasciitis and muscle and ligament strains and offer discounts to running club members. Many people like to know how osteopaths begin to treat such injuries? We assess the 26 bones in the foot which interlink to provide a framework that serves to bear the weight of the body as well as forces many times the weight of the body during propulsion. Osteopathy works to ensure that all these bones are free to interlink and stack in alignment. This is especially important during the toe-off phase of running when all the body's weight is held by the big toe! However these bones also need to move independently to add balance as we run on uneven surfaces. There are 20 muscles in the foot which move the bony framework. Osteopathy works to take the tension out of tight muscles and strengthen weak muscles through soft tissue massage and mobilisation. There are 100 ligaments in the foot, such as the plantar fascia which helps form the arches on the sole of the foot from the heels to the toes. 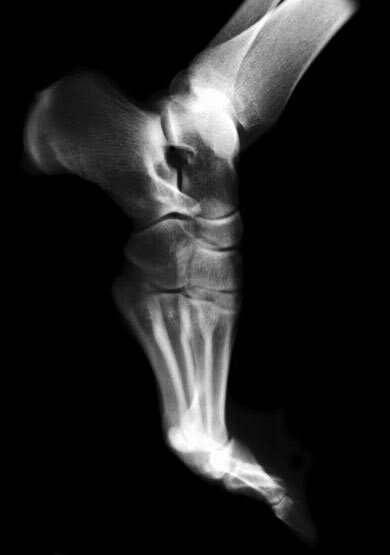 Tendons such as the Achilles connect the muscles to the bones. Both tendons and ligaments are cartilaginous in structure and have poor blood supply so take longer to heal. Osteopathy works to bring nourishment to the cells and remove waste products which promotes regeneration and a speedier return from injury. After treating any problems identified within the foot, we then assess the shins, calves, knees, thighs, hips and back. Synergy Osteopathic has established links with local running clubs and offers members discounts on osteopathy, massage, kinesiotaping and acupuncture. These include Almost Athletes, Cheltenham Harriers, Lady Runners and Running Ladies, Charlton King Ladies and the Cheltenham Striders.